I Speak Melsh: Un-fortune-ate cookie?! 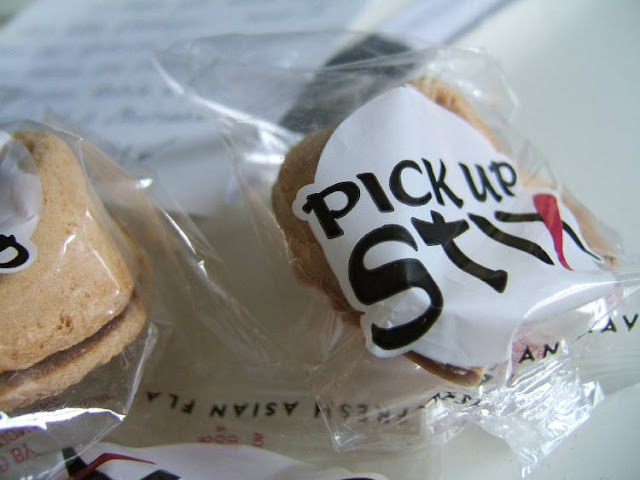 Remember I told you about the fortune cookies from the lovely Deb? Um. What exactly is it trying to say about me?! It's trying to say that you are broad minded and socially active. ;-) Which is infinitely better than narrow minded and social recluse! Far better than broad hipped and socially inept - which I think may be the best insult in the world...ever. Note it down for those sticky moments when you really wish you had a good comeback! LOL. Fun. See? You never know what you'll end up with on those things! Yes.. how did it know?